Ziche has generously provided the illustration as a high-resolution download. You can find a 27.1 mb PNG version here. The amount of ‘space’ between objects can also boggle the mind. 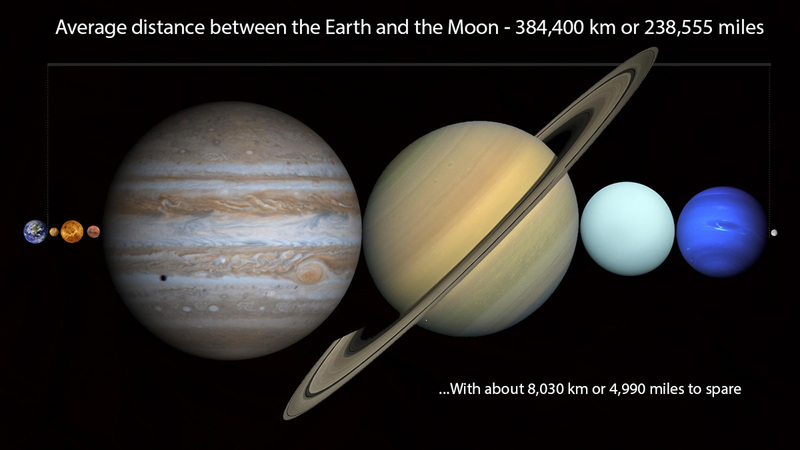 For example, did you know you can fit all of the planets in our solar system in the space between Earth and our moon? 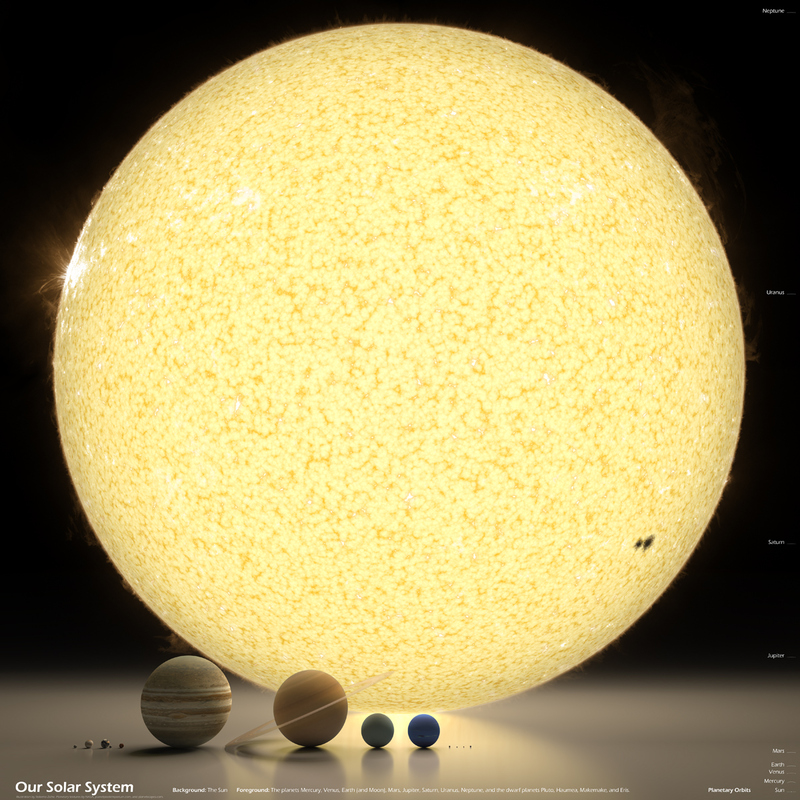 Lastly, check out the video below to see a comparison of our Sun compared to other large stars we have discovered.